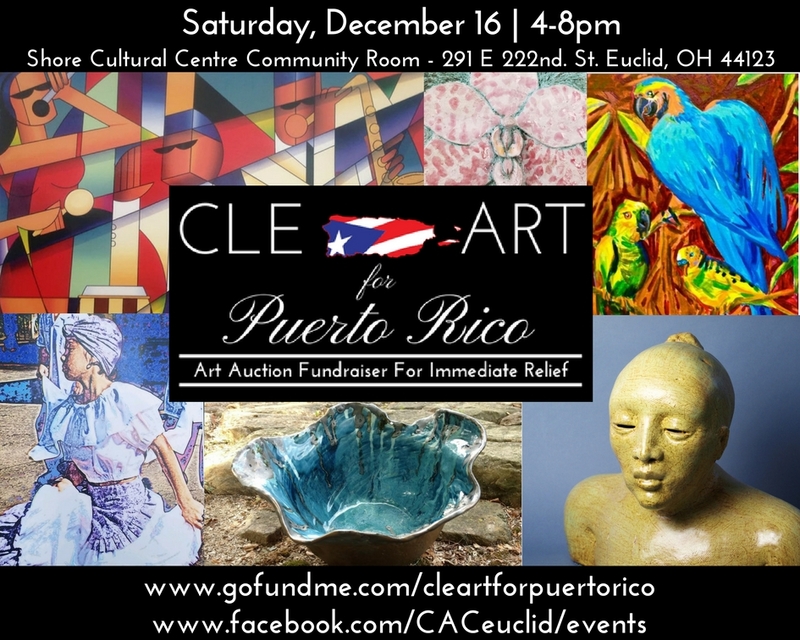 Join us for this amazing benefit we have organized with other local artists! 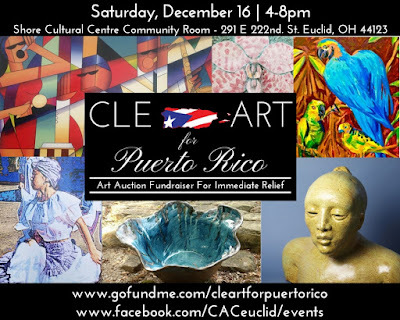 See what Cool Cleveland and The Euclid Observer had to say about this event! 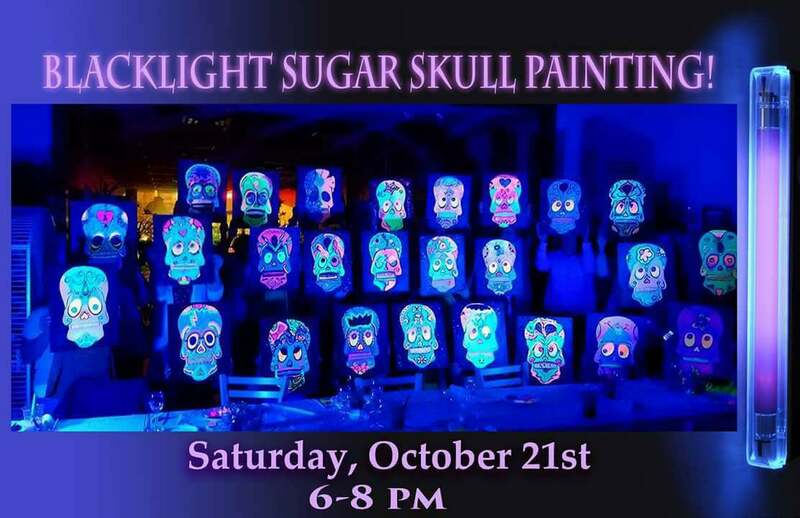 Blacklight Sugar Skull Painting, Chocolate 101, and Silk Painting! Blacklight sugar skull painting with visiting artist Cory Manley of Grass Root Designs! Chocolate 101 with visiting chocolatier Marsha Boothe of Marsha's Chocolate Emporium! Silk Painting on suncatchers with visiting artist Barbara Bloom of Images in Bloom! Head on over to our facebook events page to invite your friends to join! We have been very busy in the studio! Head on over to our Facebook page to see updates on classes we have held and ones that are coming up! THIS WEDNESDAY we will be learning how to paint this underwater scene! Hope to see you there! in the Cleveland Scene Magazine! Check out the article they wrote about the artist! We hope you can join us for a night of crafty fun! 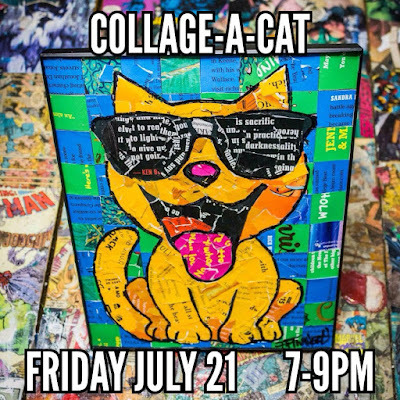 Register for this Purrrr-fectly crafty collage class! Help us welcome new visiting artist Perris Mackey of Immortal Nerd into the Create-A-Craft studio! Perris has become Cleveland famous for his Cleveland Cavaliers comic collages, and comic collages of pop icons from the Ninja Turtles and Superman to Alicia Keys and Prince! In this workshop you will receive a Collage-A-Cat Kit which includes all of the materials you need to create your collage! Everyone's artwork will be uniquely theirs, with different colors and styles. Extra kits will be available to purchase for gifts or at home crafting fun! 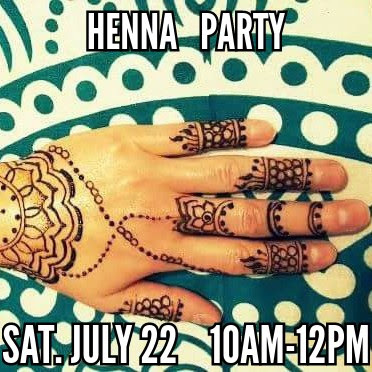 Register to secure your spot in our Henna Tattoo Party! Visiting artist Nivi is back in our studio sharing her amazing talent and 100% organic homemade henna. Her designs still look beautiful two weeks -and even longer- after your henna is done! In an effort to get a headcount for this event we are asking that you purchase your tattoo ahead of time so Nivi can prepare enough henna! Designs start at $20, so if you want a more elaborate design or a larger design than the kind in the photo above, bring along some cash. $5-$20 should do it if you plan on having a larger or more detailed tattoo done! 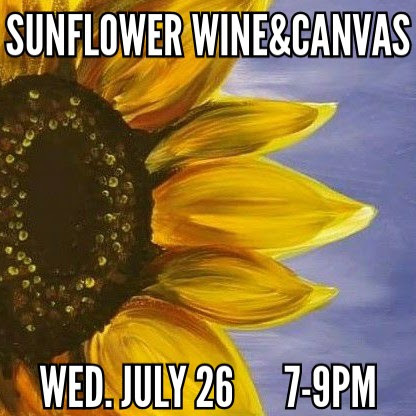 Register for this summer sunflower inspired painting class! BYOB! And friends! If you've never been to one of our Wine & Canvas classes, you're missing out on some laughs, relaxation, and not to mention quality art lessons! 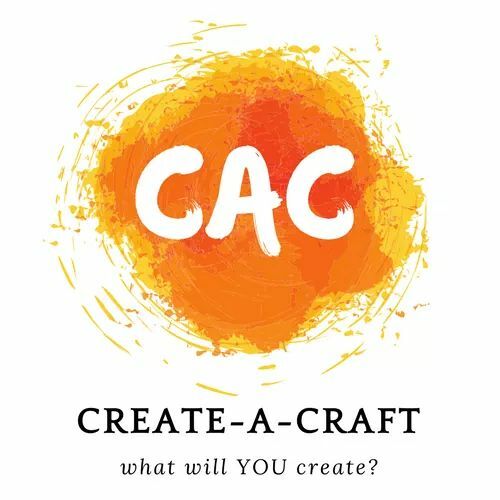 Artist and owner of Create-A-Craft, Eileen Sheehan, shares her talent and art education to guide you through the steps YOU need to create your own masterpiece! No experience necessary! Colors and composition is up to you, and offer suggestions for how you can make your painting YOURS! We want you to LIKE the art you make! 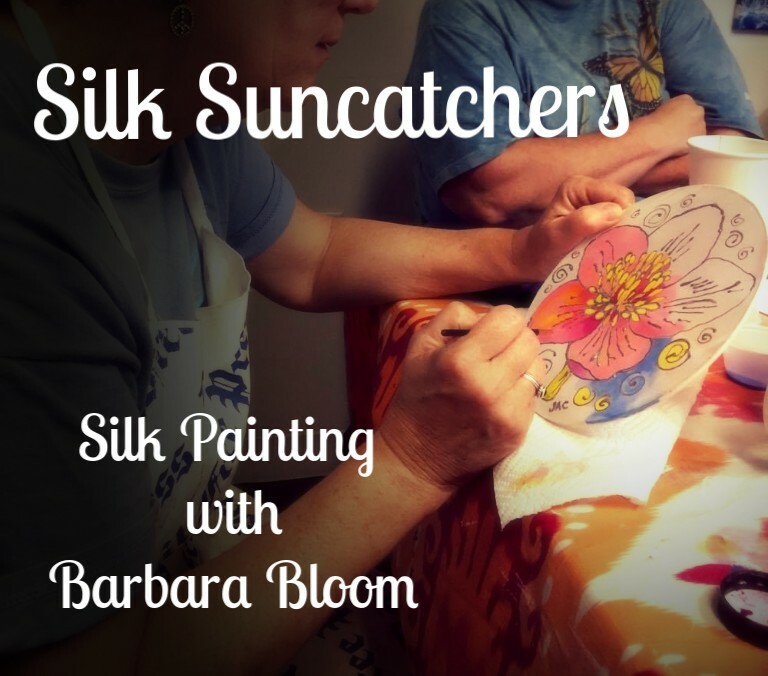 Don't miss out on getting a tree to paint! Purchase your tree today! 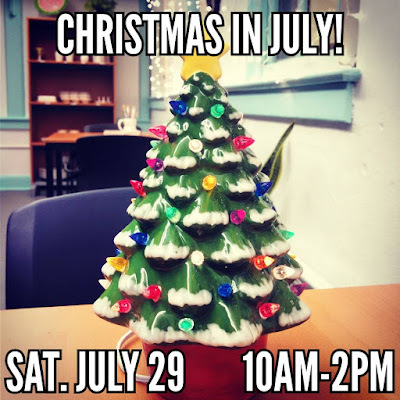 This Paint Your Own Pottery Party is open to the public, HOWEVER, if you are planning on painting one of these iconic vintage inspired Christmas trees, please go to our online store to purchase your tree ahead of time. We have a large and small trees to choose from. (small tree pictured here) If you do not purchase your tree ahead of time, we cannot guarantee to have them in stock the day of the painting party. 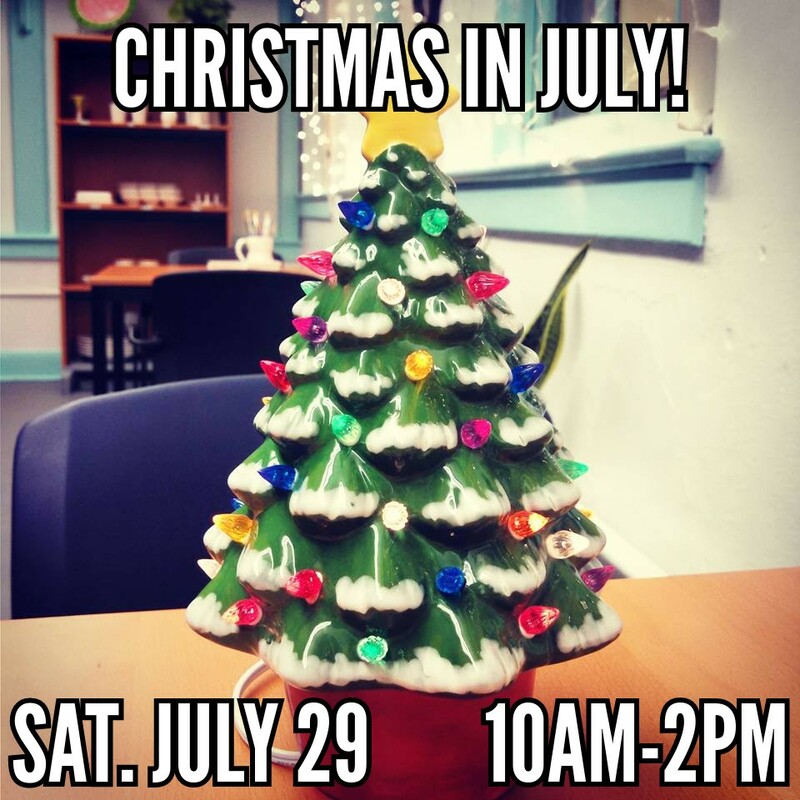 We will have all of our other pottery items available to paint as well as a few other Christmas themed items like gingerbread houses, snowman mugs, and ornaments! Just come in and paint with us and sing along to all of your favorite Holiday tunes! Visit our online store to register for our classes! Visit our Facebook page to see all of our events and invite your friends to join you! 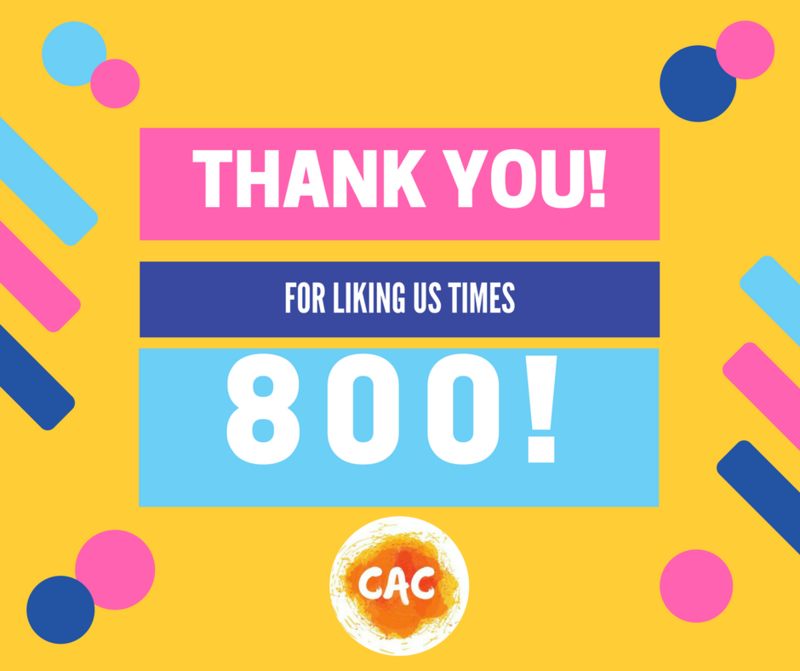 While you're there, please *like* our page! Subscribe to our page so you don't miss an event! We hope you are having a fantastic summer! Have you gotten creative lately? 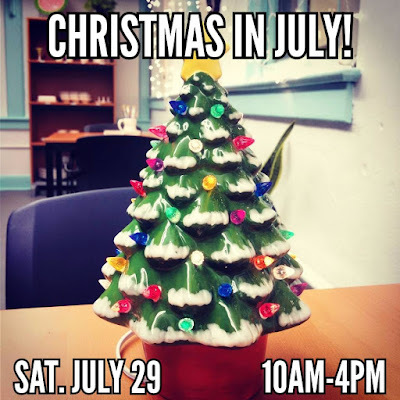 We have been working hard to offer you a month packed full of creative and crafty classes: visiting artists, classes for toddlers and self-proclaimed🍷winos🍷(not together-hehe), and our very first 🎄CHRISTMAS IN JULY🎄pottery painting party! 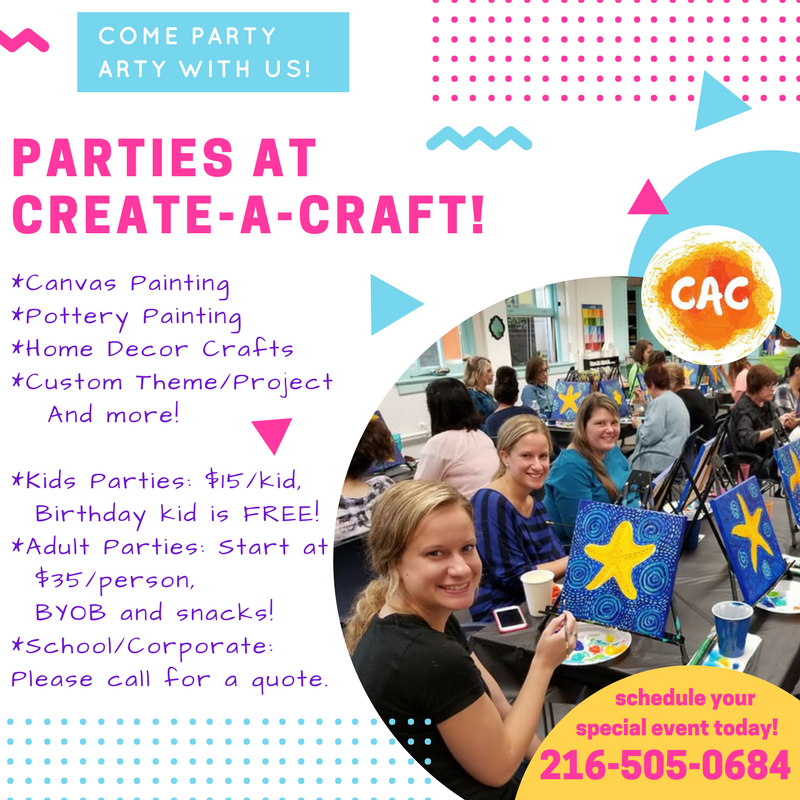 Register for some far out galaxy painting fun! 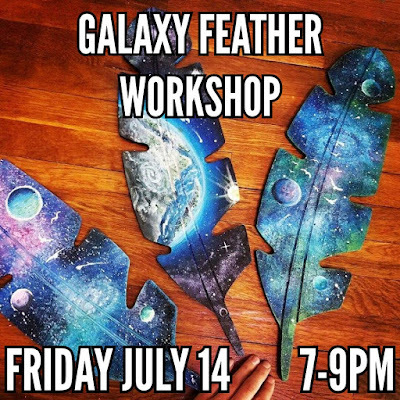 Help us welcome back visiting artist Cory from Grass Root Designs as he guides us through painting a beautiful galaxy scene on a wooden feather! How cool! The energy in Cory's classes is enough reason to attend; he always plays great music that gets you in the right mood for painting, and he will be sharing some fun neon and blacklight tricks that you can add to your painting as well! 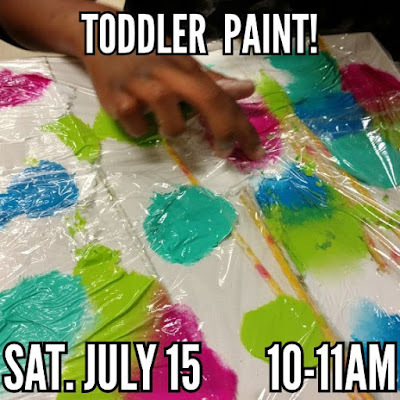 Register for some toddler paint fun! Don't Worry! This class is designed to be low-mess, but also fun for you and your little one to have time to create *together*! Your little one will have a blast choosing colors, watching us cover their canvas with plastic wrap, and then pushing their fingers on the plastic to make the colors mix! And how accomplished they will feel when we lift off the plastic to reveal their masterpieces! If you do not purchase your tree ahead of time, we cannot guarantee to have them in stock the day of the painting party. 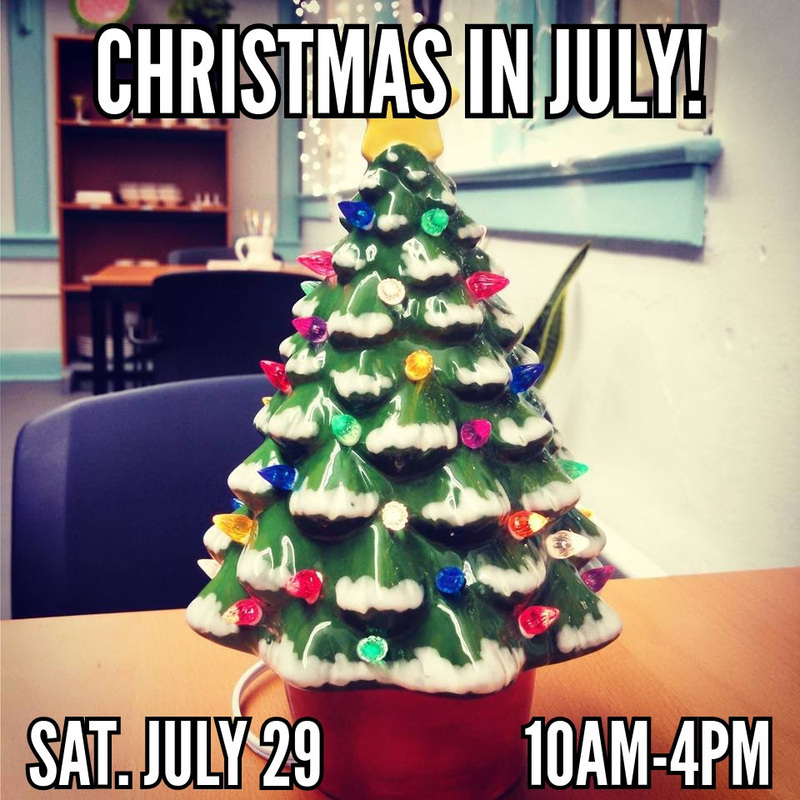 We will have all of our other pottery items available to paint as well as a few other Christmas themed items like gingerbread houses and ornaments!